Sea level rise threatens to permanently inundate areas of Eglin AFB, including barrier islands that provide protection from storm surges. Seas in the area around Eglin Air Force Base are projected to rise between 3.7 and 6.1 feet by late this century. Today the base sees very little tidal flooding. By late this century, however, the base’s Santa Rosa and Okaloosa Island facilities could face significant ocean inundation. While the mainland section of Eglin AFB has limited exposure to sea level rise this century, its barrier islands, Santa Rosa (shown here) and Okaloosa, could face daily tidal flooding late in the century. Eglin AFB is located along the Florida Panhandle between Pensacola and Panama City, on the Choctawhatchee Bay. The base is situated primarily on the mainland but includes portions of Santa Rosa Island and Okaloosa Island, which make up one continuous barrier island located south of the mainland. The base primarily supports and conducts research on weapons systems. More than 50 units at the base, representing every branch of the military, develop and test new weapons and train members of the Armed Forces in their use . The installation is also home to a Special Forces Group assigned to protect more than 30 countries in Central and South America and the Caribbean. The base has a population of about 17,000, including active military,civilians, and contractors. Providing more than 190,000 jobs and direct defense spending of more than $6.9 billion annually, the military presence in the region is an important part of the local economy. Tidal flooding, permanent inundation, and storm surge from hurricanes were all modeled. The results below outline potential future flooding to which Eglin AFB could be exposed, assuming no new measures are taken to prevent or reduce flooding. Areas currently unaffected by tidal flooding could flood with each high tide. Today, extreme high tides do not typically affect Eglin AFB, but low-lying areas of the base are inundated during daily high tides by the end of this century in both sea level rise scenarios. Flooding during extreme high tides will become more extensive. By 2070, this flooding could affect nearly all of the barrier island facilities within the base. 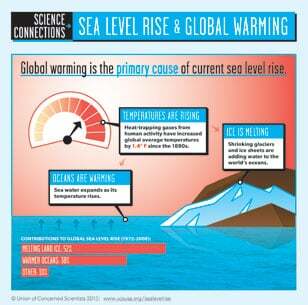 Sea level rise threatens to inundate certain areas permanently. 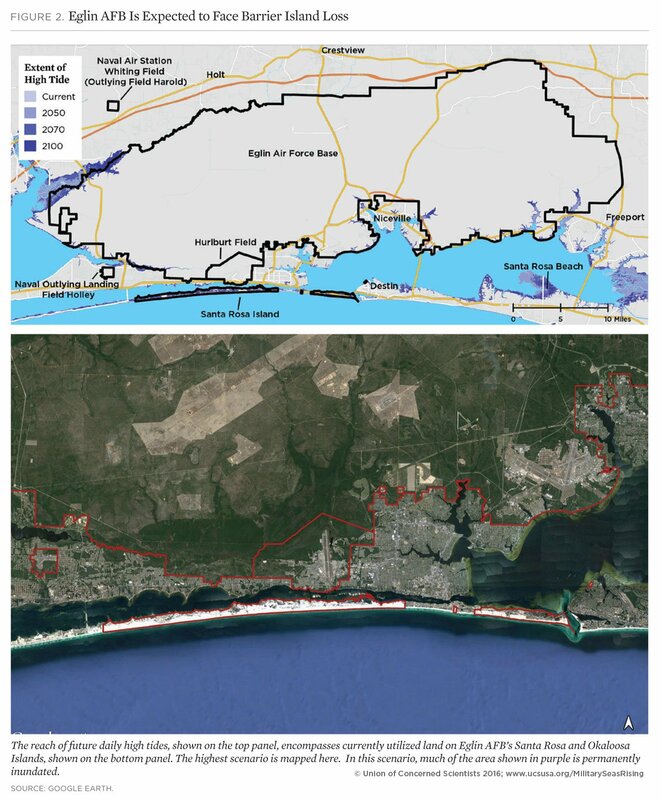 Some of Eglin AFB’s barrier island areas are projected to flood with such frequency by 2070 that they would effectively be part of the tidal zone, as opposed to developed, usable land. Indeed, with 6.1 feet of sea level rise projected by the end of the century, most of the barrier island areas of the base would be effectively lost: they would be underwater during daily high tides. Sea level rise exposes previously unaffected areas to storm surge flooding. Most of Eglin AFB’s vast mainland areas remain unaffected by storm surge even with a Category 5 storm in 2100. Nevertheless, in the highest scenario, the barrier island area exposed to storm surge inundation roughly quadruples for Category 1 storms between now and 2100. 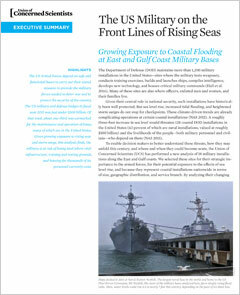 Sea level rise increases the exposure of Eglin AFB to deeper, more severe flooding. As sea level rises, the depth of inundation related to storm surge increases, particularly on the base’s barrier islands. Over time, the area inundated by five or more feet of seawater during storm surges increases. In order to plan effectively for the long term, military decision makers with authority over Eglin AFB need to understand how sea level rise may permanently alter the landscape of this coastal installation and where the threat of storm surge may become intolerable. To take action, however, individual installations like Eglin AFB will need more detailed analysis and resources to implement solutions. Detailed maps for each scenario at Eglin AFB are available via Dropbox.